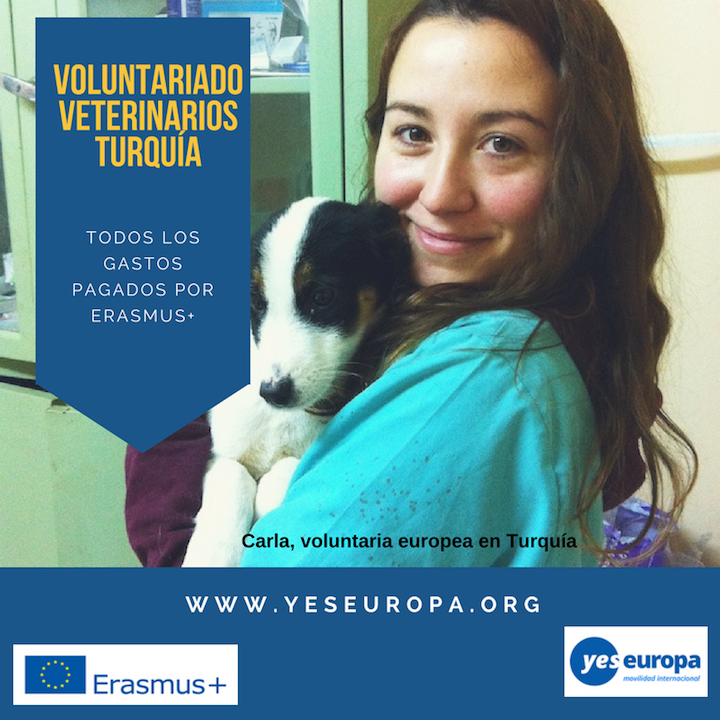 Suertud@… ¡Puedes decidir si participar en un voluntariado protectora animales!, según te sientas más o menos preparad@, para embarcarte en una experiencia única e inolvidable en Turquía y como siempre ¡con todo pagado!. Lee la experiencia de Carla en este voluntariado protectora animales. Y aquí un vídeo de la protectora de animales donde participó Carla. Sinop is situated on the most northern edge of the Turkish side of the Black Sea coast. It is also the capital of the Sinop Region. Every day there are two flights between Istanbul and Sinop and it takes 1 and a half hour. Istanbul is 12 hours away by bus and Ankara is 6 hours away by bus. The history of Sinop dates back to the 12.000 B.C. It has served as an important sea port for the civilizations throughout the history. Sinop is now the home of a wide colony of fisher boats, a university, 39.000 inhabitants and numerous of species in the wild life. and historic remnants are the distinctive cultural features of Sinop. Our association was established in 2005 in order to help the stray animals for their food and medical needs. We work in the collaboration with the Municipality of Sinop to help the ones which are sick, wounded, young and old. We work on the ones which are in the shelter as well as the ones which are living outside without an owner. Our members work in the shelter and help the staff there for their food and show affection. In the shelter there are about 350 dogs and 20 cats. The shelter staff provides food from the leftovers from the messhalls of the university, the military installations and the schools. However during the national and religious holidays, the food doesn’t come. Therefore our association provides food for the shelter. We always provide food for the cats and the young dogs. We also trim the long-haired dogs’ hair in the summer time. We take photos of the animals to show them in our Facebook page and webpage and make them adopted by the people. Through our Facebook page, we also post the photos and the information of the animals which are found in the streets by the people to make calls for the people to adopt them. In 2014 we started “the Regional Sterilization” project. Within this project, we sterilize the stray animals which are living in the other towns and the villages. Also we sterilize the animals whose owners are economically disadvantaged. We also run to the rescue operations when we have a call. We work not only for the cats and dogs but also the wild animals and the farm animals which are in need of help. In order to do that we collaborate with the Directorate of Conservation and National Parks to save the wounded and sick animals in the wild and the farm animals which are abandoned. Our association organizes sales, tea parties, brunches and tours for fund raising. We start awareness campaigns such as fund raising for the “Regional Sterilization Project”, “Charity Event for Collecting Cat and Dog Food” for the welfare of the animals. In order to do that we design posters and hang them in several locations in the town. We are the only animal welfare organisation in Turkey which has been accredited to work on EVS. We coordinate, host and send within the EVS program. surgery, check-ups, keeping the record of the stages of the illnesses and feeding. The main challenge in the shelter is to fight against Distemper, Panleukopenia and Parvoviral Enteritis. Organising adopting, fund raising and food collecting campaigns, going to rescue operations, city tours to feed the stray animals are the tasks of the volunteer outside the animal shelter. The day starts at 8:30 and ends at 15:30 in the shelter. Saturdays and Sundays are off. treatment. Also the volunteer will be invited to watch some important surgeries of professors in university in Samsun. Some weeks the volunteer will be able to practice in the wild life conservatory center to have some competences on wild animals such as bear, wolf, boar, wild horse, jackal, deer, fox, eagle, falcon, owl, bat, migrating birds, etc. which are sick, orphan or weak, unable to live without help. * The volunteer can receive an emergency call anytime of the day and run to the patient. The volunteer will organise his/her cultural evening during the activity more than one time in one year. In the cultural evening, the volunteer will introduce the food, drinks, music, dance, a bit of history, geography, habbits, traditions, etc. of his/her region to the audience we will invite. Since the volunteer is a vet, he/she will get more experienced on surgery, diagnosis and treatment as well as taking care of the orphan babies. The volunteer will learn how to prepare the patient for operation, how to do the operations and things to do in post-op care of all animals: cats and dogs (mainly), wild animals (mentioned above – some weeks) and farm animals (visit to the farms with the vet). The volunteer will learn how to read the X-Ray and deduct over blood and urine test results and diagnose in the clinic. He/She will get free Turkish lessons two hours a week. The volunteer will share a flat with the other volunteers but have his/her own room. There will be a free transportation to the animal shelter and wild life conservatory center and back home. They will get 1095 euros pocket money + 1344 euros for food. So in total the volunteer will get 2439 euros for 12 months. He/She will be reimbursed for their flight up to the maximum amount according to the distance of their home country in the Erasmus+ Program guide. The volunteer will not pay for their accommodation and wifi but electricity, water and gas will be shared with the other volunteers in the flat. We recommend to use them economically. Because especially the electricity is not cheap in Turkey. The tasks of the sending organisation: They are responsible for preparing the volunteer for EVS. They will provide their insurance. They will help the volunteers get their visa and flights. They will keep in touch with the volunteers and the contact person of the coordinating organisation. They will disseminate the project and the project results in their environment. be responsible for inviting the members, press, locals and other volunteers to the cultural evening that the volunteer will organise. They are also responsible for giving the volunteer a Youthpass certificate at the end of the activity. They will also disseminate the project and the project results in their environment. coordinating organisation of Erasmus+ European Voluntary Service Project “Transposition”. They will be responsible for recruiting the volunteers, communicating with the sending organisations, providing a mentor for the volunteers, organising Turkish courses and trainings on personal development and intercultural competences for the volunteers, providing free accommodation with necessary furniture, heating, hot water, wi-fi, and kitchen tools for the volunteers, reimbursing the flights up to the maximum amount in the Erasmus+ Program Guide, covering the visa costs, giving volunteers pocket money + food costs together, collecting all the travel documents, photocopied pages of the passports of the volunteers and the other solid outcomes of the project, disseminating the project through social media and reporting to the Turkish National Agency. 1. Buy your ticket between one day before the activity starts and one day later the activity ends and pay attention to the maximum amounts you should spend for the flights and other vehicles. Please keep in touch with us about it. 2. Let us know about your full name, email, the date of birth, the place of birth, your home address, your home telephone number, your mobile number and the contact information of one of your family members. 3. Learn what EVS is from your sending organisation. 4. Make sure that you have insurance from Cigna and learn how to use it. 5. Bring the original tickets/invoices and boarding passes with you. 6. Bring the EVS Activity Agreement (4 copies) with you after you sign and your sending organisation signs and stamps. 7. Bring some cultural items to present in your cultural night, such as food, drinks, music, films, objects etc. 8. Bring an object which represents best your own culture to be exhibited in Sinopale – the International Sinop Biennial and its Mid-Performances. 9. Bring books in your language. Because there are books only in Turkish here. 10. Create an EVS blog or a Facebook page to let more people know about your EVS. 11. Get ready for the new adventure!